DeveloperWeek 2018 is a wrap! Thank you all for making 2018 our best event yet. 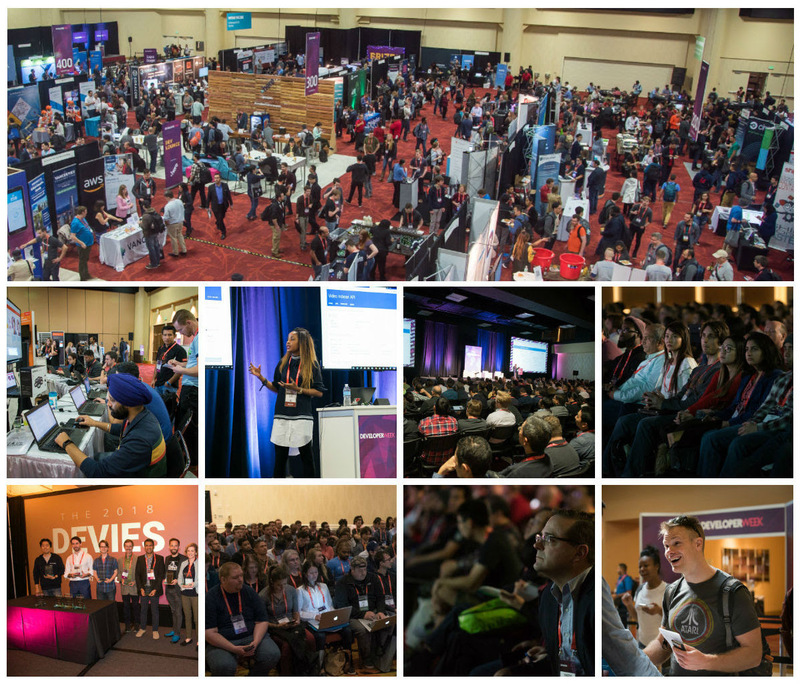 #DEVWEEK2018 had record numbers of attendees, exhibitors, speakers and hackathon teams last week in Oakland and San Francisco, including standing-room-only keynotes from GitHub, Reddit, Oracle, Box, Facebook, and IonQ & NEA covering new innovations and breakthroughs in developer technologies in blockchain, artificial intelligence, microservices, IoT, VR/AR and much more. We will be publishing speaker presentations and keynote videos for 2018 soon. Event photos can be found on our Facebook page. DeveloperWeek 2019 returns to the SF Bay Area from February 20-24, 2019. Keep an eye out for 2019 pre-sale passes very soon. DevNetwork hosts many additional conferences — both in the SF Bay Area and around the United States. Browse our upcoming conferences below.